Hello. 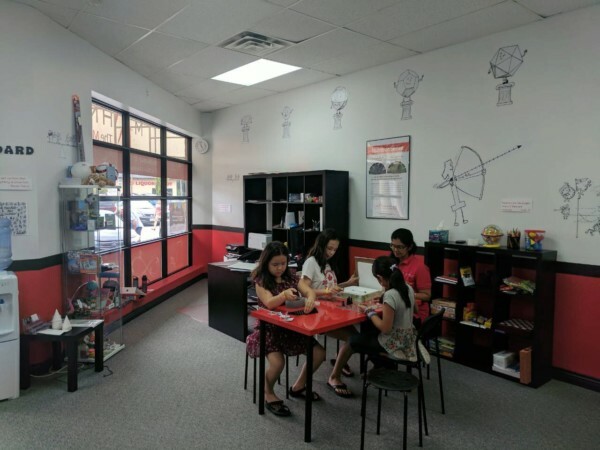 I'm Anoma Mudalige, Owner and Director of Mathnasium of Tri-Cities, your neighbourhood math-only learning centre. We help kids in grades k-12 understand math by teaching the way that makes sense to them. Come in for a free trial! 604-474-2537. My Child like Mathematics now because of Mathnasium and she scored 100% last term at school. Big thanks for Anoma, Charith and the rest of instructors. My daughter loves going to mathnesium. The staff are very professional and each child is given the attention needed. She has shown a big improvement in her creative thinking skills and doesn't get nervous when she has a test coming up. Thank you!! for being there for my daughter and making math enjoyable. My daughter has been going to Mathnesium for 2 years and she loves it. She looks forward to going there twice a week. We are seeing our son’s confidence improve, We are just struggling with the price. Sara is enjoying the support that she receives from Mathnasium. It helps reduce her frustrations and daily struggles she has with math concepts. Thank You so much for your response ! Your feedback is very much appreciated. It's good place to learn. Thank You very much for your response ! We appreciate your feedback. We love all the support given to my daughter in the Mathnasium. The service is amazing and my daughter learned a lot of things while she was there. It is a good environment and we have seen improvements with my daughter's math skills. It is a safe environment my daughter can work in. We love everything that is done for my child and keep up the good work! Thank You very much for the response ! We appreciate your feedback . Practice makes perfect. MathNasium offers my kids the platform and navigation to practice with immediate support. They are always ready to go there, grab their binders, and to either intensify concept already grasped or expand to areas new to them. Thank You very much for the response ! We appreciate your feedback. i like Mathnasium's personalized structured approach that requires students to pass each level before advancing. This helps to ensure kids grasp the fundamentals. My kids like the friendly instructors and support they receive from the Mathnasium. Corrections and mistakes are handled very well helps them feel more confident interested in moving forward with math. The work atmosphere at Mathnasium is quiet and focused with no distractions, so it has been an efficient learning experience for my kids. The bottom line is they made our kids enjoy math.! Great service, great atmosphere. Would highly recommend to make academical confidence stringer! All the instructors are well trained and they make a friendly environment to children. Easy access to the Location. Tri-Cities Mathnasium has been amazing experience for us. The director is knowledge and puts a great deal of effort in maintaining clear communication and setting achievable goals. 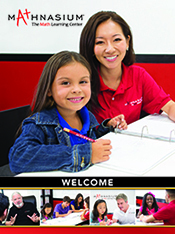 The tutors are friendly, patient, and have great rapport with the kids. My daughter was hesitant about attending when we first started but ended up loving her time there. I would definitely recommend Mathnasium Tri-Cities. Our three children went to mathnasium for the summer. They all gained in skill and confidence. We are very happy with the program. Friendly staff and excellent service. My kids are enjoying learning and excelling math. My son is learning way ahead then what he learned at school.awesome teachers and very friendly environment . Both my Grade 4 and Grade 1 enjoy their visits. Great tutors! From the kids’ view, the questions are customized to individual needs, immediate help is ALWAYS available. Most importantly, the tutors play games with them after work is done. From parent’s view, the work is well structured so each one-hour session is spent efficieny and effectively. I am also glad that the class schedule is not fixed so you can drop in any time during open hours. I can not express how truly incredible this entire team is !! Not only are they extremely compassionate individuals but they really put their heart and soul into teaching each student. This isn’t your regular Kumon study centre where they just hand you math sheets and your on your own but rather taking the time one by one to sit patiently with each student and teach their lesson in a form they understand. I absolutely love Anoma, her boys are super patient, kind, sweet and so are the rest of the gang! Feels like family!! My daughter never loved math so much all thanks to Mathnasium! My son just started with Mathnasium a few weeks ago and he seem to enjoy going there. I'm hoping that with the staff's help and guidance he will have the confidence and ease in finding solutions in math whether written or in daily applications. My daughter has just started her classes in January and now she is already confidence in her Math class! Great teachers and well laid out learning plans. My son is very happy. Before Mathnasium, he hated Math. Now he is happy doing it! My two boys have been in Coquitlam Mathesium for almost a year. They love the environment as it is not like a tutoring centre but a fun place to learn Math. Staff are patients and nice. i am very happy with Mathnasium, my daughter Insiyah looks forward to going there. I have tried 3 other math programs in the last 2 years and overtime it was a challenge getting her to go. She loves going to mathnasium. Teachers are great. I would definitely recommend Mathnasium to friends and family. I like that fact that the teachers are very knowledgeable. My daughter's confidence level has greatly improved over the last three months. She starting to enjoy Math and does not bring home as much homework as she once used to. Friendly, helpful, relaxing environment, my son enjoys attending math sessions and especially loves math game Sundays! My daughters love to go there; unlike other tutoring services they seem to enjoy going there, and have made good improvements in their ability to do numbers and deal with the problems that they are having. Jaidasen is enjoying math more and loves that she is finally understanding things clearly. Has made my daughter so much more confident in her abilities! It's fully dependent on how my daughter feels about how she's learning. She feels comfortable asking questions, because they are answered patiently. We are early in our partnership with Mathnasium, but confident it will be a part of my daughter's life for many years to come. I want to demystify math for her at an early age, before it can become a source of frustration and intimidation. She may never enjoy math, per se, but I want her to be comfortable with it. The skills she learns now will be of use to her in various topics for years to come. The one cautionary tale I offer is letting kids bring in fast food. It's a broken record that everyone's life is busy, but my daughter has mentioned that kids bringing in food from outside places can be distracting to her. The smells, et al., and then of course that leads her to be hungry herself. Other tutoring centres don't allow outside food, and that is the one and only element of other tutoring centres I prefer to Mathnasium. Thank you for the kind comments. You have articulated what Mathnasium is here for. Your wife also commented about the food and measures have been taken to clarify and uphold the 'snacks only' rule. My son loves the way math is taught at Mathnasium because it's fun, there is rewards and there is lots of staff to help. The approach is positive which is so important. Keaton is enjoying it. Our only piece of constructive feedback is that in our welcome package it said that the kids shouldn't bring food to the centre. However, every time Keaton is there after school a child has McDonald's with them. It just doesn't seem fair to the other kids who deliberately haven't brought food with them, and I understood the kids weren't supposed to do this. I am glad Keaton is enjoying it. This month we are doing a bingo which has 'knowing the rules' as one of the squares. We will put more emphasis on this point thanks to your comment. My kid loves here! The teachers are great and friendly. My son enjoys going and is starting to like math again. His teacher can see a difference already. We have only been going for 1 month. My children both look forward to it. The teachers are very involved and accommodating. The teachers are very friendly and accommodating. You helped our son prepare for grade 9 math and made it a fun and enjoyable learning experience. My son has greatly enjoyed his experience at Mathnasium and has begun developing a whole new, efficient and fun way of looking at math and handling computations with great confidence. My daughter enjoys going to Mathnasium and she feels more confident with Math. 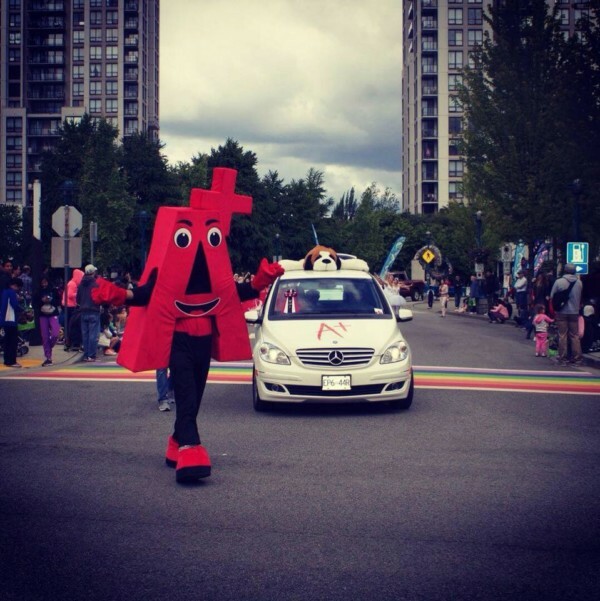 Since my son has started going to Mathnasium (Coquitlam), he feels more confident and positive towards math. Instructors at Mathnasium are excellent at teaching kids. They are patient, friendly and approachable. So far, the whole experience has been very positive for my son. He is encouraged every time he goes in, comes out with a smile saying he understands better. That means a lot to me as a parent. I'd highly recommend Mathnasium to any students who are struggling in math. My son is enjoying himself at class - so that's a good sign! The teachers are attentive, patient and nice and are always willing to help him out. Our daughter has seen real improvement in her math skills since joining Mathnasium. You can see it in her face as she's solving equations... an understanding that was not there before! And it doesn't hurt that her grades have shown improvement too! Thanks! My daughter is gaining confidence and improving her math skills while having fun!